With artificial grass gone are the days of spending time tediously looking after your lawn. It saves you precious time better spent with your loved ones. There is some level of maintenance with artificial grass. This mainly includes raking fallen leaves and cleaning up after your pets. However, forget ugly brown patches of dead lawn forever! All it takes to keep your artificial grass lawn in a tip-top condition is a monthly brush over. 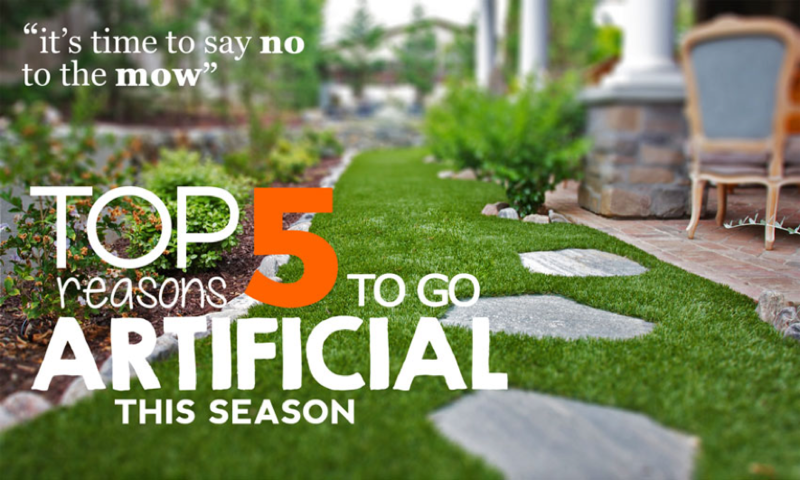 Artificial lawns bear the promise of looking great all year round. They are known to be durable and resilient to any pet play. The best part is – no more muddy paws around your home or bare patches at their favourite digging spots! It’s essential you check, where the grass is made, as some Chinese produce can contain materials like Lead and Cadmium. Protect your four-legged friends and your little ones! Problem solved for a very long time! Artificial lawns ‘life expectancy’ is up to 10 years! Furthermore, EU made artificial grass comes with UV stabilisation for a minimum of 10 years – guaranteeing your grass lawn staying the vibrant green colour you desire. The initial cost of artificial grass might seem intimidating. Once considering the average use time. That’s 10 years of saving on water bills – as the artificial turf requires no watering. That’s 10 years of no mowing costs or equipment upkeep. That’s 10 years of no pesticides, herbicides and fungicides. Additionally, if you decide to sell your home, artificial grass lawn will add value to your property! Nowadays artificial grass comes various lengths, shades and styles. You can choose from rustic to more manicured looking lawns. Or if you prefer a more modern look, you could choose something that dishevelled looking or with stripes even.